You have enough errands to run throughout the day — running to the bank doesn’t have to be one of them. Mobile banking gives you back your free time and lets you bank anywhere, 24/7. Just download the free app to keep an eye on your money wherever you go. And with features like mobile deposit, you’ll have fun managing your accounts from your phone. Take a picture of your paycheck in between snapping selfies and deposit it, right from your mobile device! Follow the steps in ABNB @ Home, but keep your mobile device handy to complete all the steps! Once you've enabled your accounts and mobile device, click the appropriate link below (or the link provided through text) to download the app to your mobile device. When the app has completed installation, you're ready to take your ABNB account wherever you go! 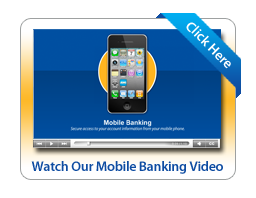 *ABNB Federal Credit Union does not charge you a fee for access or use of ABNB Mobile. You should contact your mobile service carrier for information about fees associated with sending or receiving text messages or accessing the Internet from your mobile phone. In order to use mobile browser or text banking, you must register your device(s) through ABNB Online Banking, under Mobile Banking on the Access Accounts tab. iPhone images are registered trademarks of Apple Inc. Android is a trademark of Google Inc.